Custom Metalcraft has manufactured stainless steel vessels and equipment for almost 40 years, designing and manufacturing equipment of the highest quality. Our product line includes storage vessels, fermenters, mash cookers and stainless stills. Most tank styles can be moved with a forklift and allow for optimal floor space and stacking capabilities. We offer a wide variety of options for our equipment. Please allow us to provide our expertise to achieve your distillation needs. Distillery Products is your "Go To" source for wholesale premium branded distillery merchandise for your Distillery. Specializing in custom branding and engraving on Glassware, Premium Flasks, Cocktail Tools and Insulated Tumblers and more… Our Marketing Team will work with you to create your custom merchandise line to elevate your brand and capture your market identity. 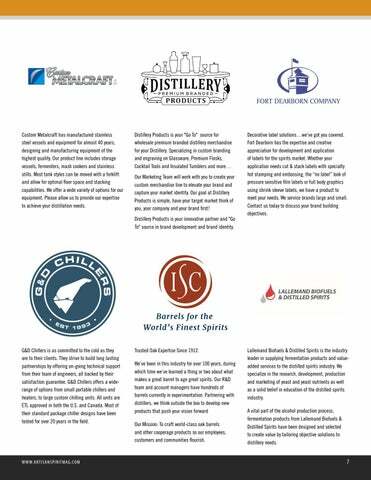 Our goal at Distillery Products is simple, have your target market think of you, your company and your brand first! 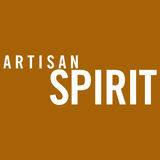 Distillery Products is your innovative partner and "Go To" source in brand development and brand identity. Trusted Oak Expertise Since 1912. We’ve been in this industry for over 100 years, during which time we’ve learned a thing or two about what makes a great barrel to age great spirits. Our R&D team and account managers have hundreds of barrels currently in experimentation. Partnering with distillers, we think outside the box to develop new products that push your vision forward Our Mission: To craft world-class oak barrels and other cooperage products so our employees, customers and communities flourish. Lallemand Biofuels & Distilled Spirits is the industry leader in supplying fermentation products and valueadded services to the distilled spirits industry. We specialize in the research, development, production and marketing of yeast and yeast nutrients as well as a solid belief in education of the distilled spirits industry. A vital part of the alcohol production process, fermentation products from Lallemand Biofuels & Distilled Spirits have been designed and selected to create value by tailoring objective solutions to distillery needs.